Is your Roof covered in Moss, Dirt and Lichen? Is the algae spoiling the appearance of your home? Then you will be surprised at how much better your home will look after a high pressure Melbourne roof cleaning service. Melbourne Roof Cleaning and Restoration is a specialist cleaning company using only the highest quality materials and equipment to ensure a thorough dirt-free appearance. Over time we have developed our services to meet the requirements of our customers and will tailor our roof cleaning services to the needs of each property or business. We clean a broad range of surfaces including Roof Tiles, Eaves, Gutters and Pathways or Driveways. Our roof cleaning services across Melbourne to all residential and commercial properties. 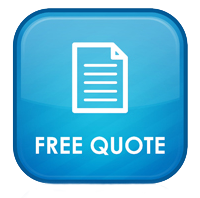 As a part of all roof cleaning services in Melbourne, we offer FREE gutter cleaning. 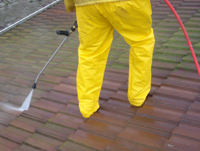 For no-nonsense roof cleaning and coating at a competitive price contact us today. Melbourne Roof Cleaning and Restoration care as much about your roof as you do. You can rely on our roofing experts for a Tailored Roofing Solution based on your individual requirements. Quality Roof Restorations are essential for keeping the roof over your head and extend its life. We provide an extensive range of roofing services to the Melbourne Metropolitan and regional areas. This includes roofing repairs, roof painting, roof restoration, high pressure surface cleaning, gutter cleaning, eave cleaning and painting, and roof ventilation. We also service all roof types, including Terracotta tile roofs, Cement tile roofs as well as Colourbond Roofs. With over 20 years experience in roofing, we offer a 7 year workmanship guarantee. Contact Us Today to get your complimentary Inspection Report.